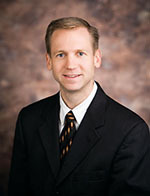 Dr. Joseph Kummer is a Cardiologist with Bryan Heart. He attended the University of Nebraska College of Medicine in Omaha where he earned his medical degree. Dr. Kummer completed his internship and residency in Internal Medicine at Northwestern University in Chicago. He went on to complete his fellowship in cardiology and cardiovascular disease at Henry Ford Hospital in Detroit, Michigan.